I'm not answering a reader's question here. I just felt that these basic instructions needed to be somewhere easy to find. Windows' built-in system backup program, System Restore, allows you to revert Windows and your applications to what they were at a previous time. This restoration doesn't affect your documents and data. Windows is supposed to create backups (called restore points) automatically, but as a safety measure, you should create one manually before doing anything dangerous. Windows XP: Click the Start button and select All Programs, Accessories, System Tools, and System Restore. Select Create a restore point, click Next, and follow the prompts. 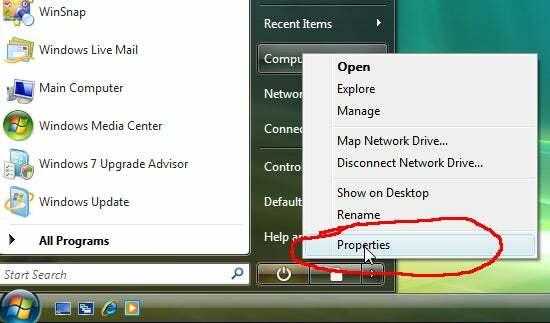 Windows Vista: Click the Start button, right-click Computer, select Properties, and click the System protection link in the left pane. Click the Create button and follow the prompts. Windows 7: The Vista instructions above will work here, too, but there's an easier way. Click the Start button, type restore, click create a restore point, and click the Create button. With a little bit of work, you can make shortcuts to help automate this process. 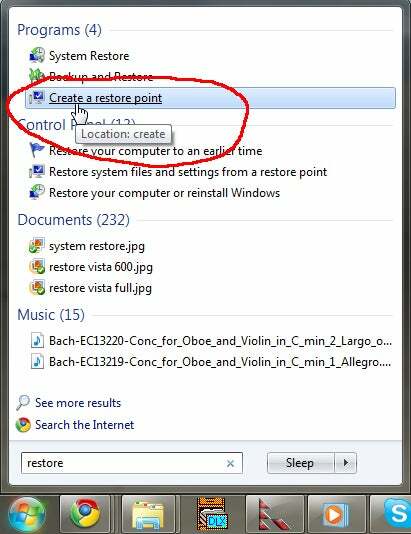 see "Increase Your System Restore Points, Part 1" for details.